Whether you’re looking for charming towns, lush scenery or breathtaking historical sights, there’s a lot to see and do in the Czech Republic outside of Prague. Here’s our list of the 12 most beautiful places in Czechia that you should visit. Considered one of the most beautiful natural areas in the country, this national park is home to breathtaking ravines, deep valleys, steep footbridges and unusual rock labyrinths. There is a river crossing so when the terrain gets a bit less accessible, you can jump into a small boat and a gondolier will take you to the other side and you can carry on exploring. The park’s Pravčická brána (a stone arch) was used for essential scenes in the film Chronicles of Narnia. Prague’s historical center is a UNESCO World Heritage Site and a major attraction for visitors from all over the world. Prague is also home to the world’s oldest and still functioning astronomical clock (it was built in 1410) and the famous Charles Bridge, where many films have been shot. Because Prague wasn’t severely damaged during WWII, many of its original Gothic, Baroque and Romanesque structures remain intact, making the city a wonder of architecture. Cesky Krumlov’s old city center is a UNESCO World Heritage Site and home to a 13th century castle. The city’s Baroque Theater, the only of its kind in the country and one of very few in the world, still contains all its original working stage machinery and props. The small size of the town, together with its many picturesque buildings, make this a very magical destination. A mountain range loved by hikers, the Sudetes are also popular with winter sports enthusiasts. The range cuts through Germany, Poland and Czechia and offers visitors a range of things to see and do. With sandstone cliffs, mountain lakes, valleys and forests. The Sudetes are home to caves, gorges and a variety of wildlife just waiting to be discovered. One of Czechia’s most beautiful castles, Karlstejn dates back to 1348, when it was founded by Roman Holy Emperor Charles IV. 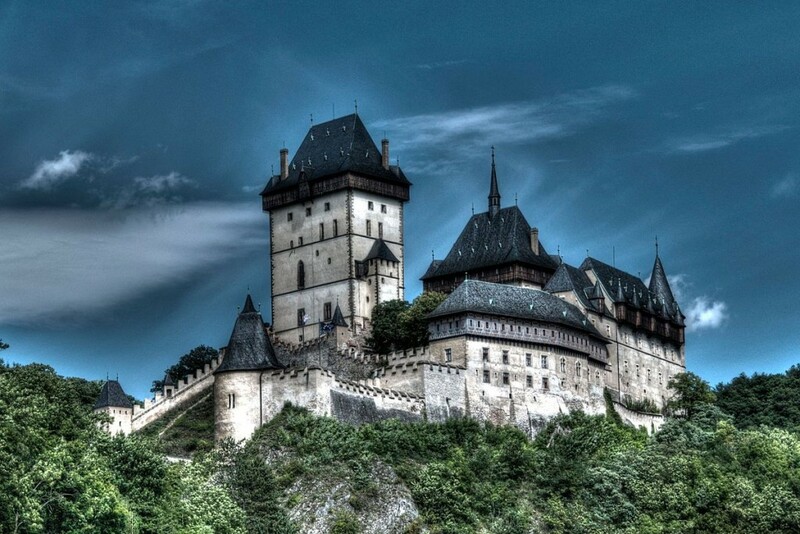 Once the holding place for sacred relics and jewels, the castle is still incredibly well preserved. Visitors can take a tour that includes the Chapel of the Holy Cross and private halls and rooms, complete with original furniture and decor. The castle is also the starting point for many hiking trails (the longest is 20 km). Telč is a tiny 13th century town with a beautiful UNESCO World Heritage Site center square that features colorful Baroque and Renaissance houses. A popular stop for people heading to Southern Moravia, Telč is also home to a 17th century Renaissance château and a number of beautiful hills and open spaces that are ideal for hiking. One of very few UNESCO protected biosphere reserves in Europe, Šumava offers nature trails (many of which include exhibits and information points so you can learn more about the area), rough camping spots, ski trails, and boat rental to explore the three rivers that cut throughout the park – one of them being the long and majestic Vltava River, which also runs through Prague. Although not well-known to foreign visitors, Olomouc is one of the most charming towns in Czechia. Located right on the Moravia river and founded on the ruins of a Roman military camp, Olomouc is home to several historic religious buildings, including the early 12th century Saint Wenceslas Cathedral and Saint Maurice Church, home to one of the largest and oldest church organ in Europe. 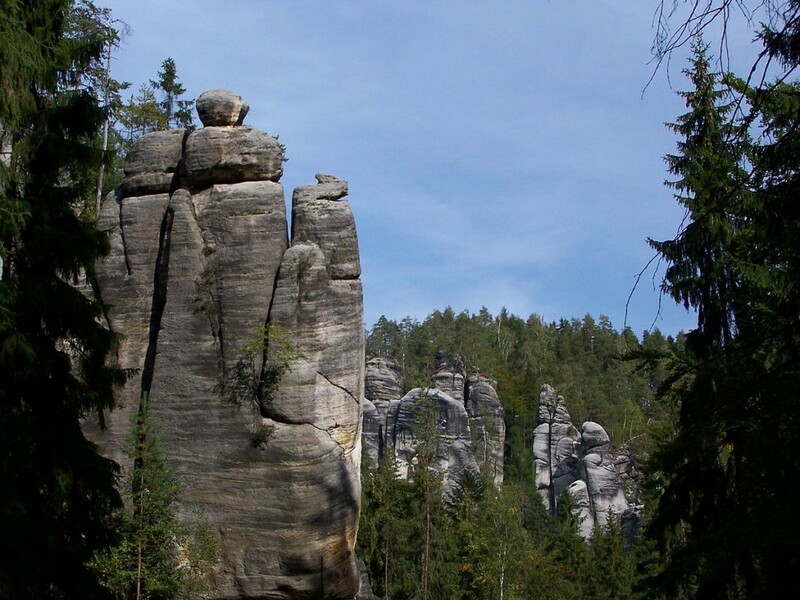 Also known as the Teplice Stone Town, this is an area in northeast Bohemia well known for its unusual formations and great walking paths that cut through labyrinths of rocks. Thousands of years of erosion have created smooth rocks and strange formations that almost look man-made. Expect unusual natural bridges and tunnels, gates cut into the rocks and narrow pathways through mountains of rocks — not for the faint of heart but highly rewarding if you dare to explore. The entire town of Lednice has been added to the UNESCO World Heritage List. Home to the largest urban park in the country (which expands over 200 km²), impressive artificial castle ruins and one of the largest palaces in Czechia. A nature trail that cuts through vineyards might sound impossible, but this is exactly what you’ll find if you head to the Mikulov wine region in South Moravia. The trails (available for both hikers and bikers) cut through picturesque towns, the Pálava Hills area, and even the Nové Mlýny water reservoir. Karlovy Vary is best known for its many spas and healing water thermals, but the town itself is also a marvel of architecture. A walk through its downtown reveals whimsical architecture in a rainbow of colors. An often missed attraction is the Diana Lookout Tower, which you can reach via a funicular railway and gives you a bird-eye view over the entire town. Karlovy Vary was a stand in for Montenegro in the 2006 Casino Royale movie.